Welcome, readers! Our latest selection of reviews covers Roman history and roaming killers, soaring space ships and snarky space heroines, angelic warriors and, perhaps, a devilish girl. But first, let's hit the road, with Isaac Thorne. 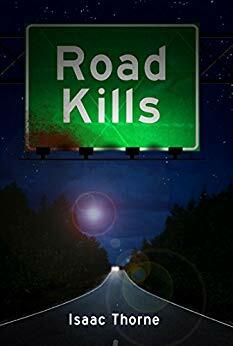 Road Kills is available on Amazon here. Blimey, this is thorough in its exploration of British history! 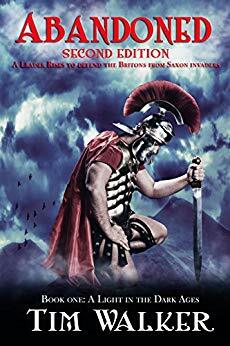 Much credit to author Tim Walker for a well researched story looking at the time of the Roman withdrawal from Britain - and the consequences it means for both sides involved. Abandoned looks at the early part of the Dark Ages, and you can see the amount of effort the author has put in to ensuring accuracy. The story hops through several of the characters involved in the era - which while helping to cover the scope of events of the time does have a tendency to dilute how we feel about the central characters. Also, I felt it could have used, to quote Elvis, a little less conversation, a little more action. The early part is slow but picks up as sides move into conflict with one another. Stick with it and you'll find yourself drawn into the details of the battle, as the cut and thrust moves beyond the shaping of empires to the visceral desire to protect family. In the end, this is a love letter to history, and a credit to the author's passion for his subject. Abandoned is available on Amazon here. I'm not even going to pretend this is a new book to me. I read this first of all issue by issue back when it first appeared in 2000AD. Those issues were much treasured, and well thumbed - so when the complete collection appeared on Kindle, I wasn't hard to convince. Halo Jones is the heroine we need. Caught in a dead-end world with a family of best fit rather than genetic history, she's trapped. Bored. Almost numbed by an environment that stifles innovation, crushes emotion, drowns out aspiration in a mire of vid soap operas and at its worst leaves hollowed out drum-drum-drummers tuning out the world to listen to a non-stop beat. But Halo Jones is different. Halo Jones wants out. It's glorious to revisit the story after all this time, seeing the sub-plots as they play out, noticing the groundwork being laid for tragedy. Through it all, Halo shines. It's a darn shame that Halo hasn't soared beyond the boundaries of the comic pages - barring for a title appearance in a Transvision Vamp track. She's kickass without being obviously badass. She's a feminist hero in a time when they were few and far between. She's the girl who got out. The complete collection features three books in total - and they are left poised waiting... waiting... waiting for more. They'll never come now, I'm sure. 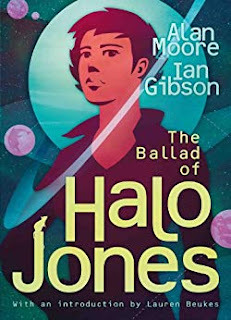 Moore and Gibson have spent too many years since they left Halo hanging, and rights squabbles seem to have abandoned her on the shores of a distant planet. But it's brilliant. She's one of the finest comic book characters ever created, and I've loved every moment of being able to hang out with Halo Jones once more. The Ballad of Halo Jones is available on Amazon here. 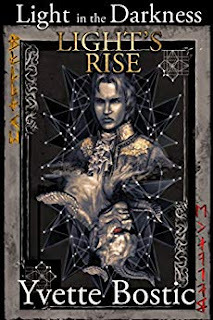 Recently, I read the prequel to the Light in the Darkness series - of which Light's Rise is book one, and it was so entertaining I wanted to read more. It's an innovative series - starting in the Napoleonic War when a young Austrian soldier finds himself confronted by literal demons. Not inner demons, but the human-consuming kind, and is soon enlisted in a war very different from the one he enlisted for. He becomes part of a somewhat-superhuman team doing battle with demons across continents and across decades as the underworld creatures seek to subvert the world locked in warfare for their own ends. The soldier, Darian, finds himself imbued with his own powers which he can use in the battle, as he and his comrades strive to save humanity. The story is Christian-themed, but not heavily so. The hints of good v evil in the story are subtle and not preaching, and the whole thing reads as a light adventure - I could see it doing awfully well as a manga. Dashing along at a fair clip, it's a real page-turner - and the finale sets up the next step in the series with... well, that would be saying, wouldn't it? 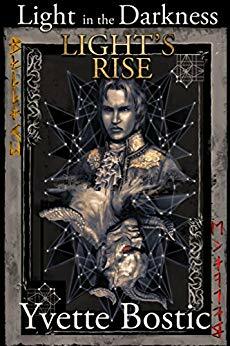 Light's Rise is available on Amazon here. Norman Turrell is a thoughtful writer - and Generational is a tale that asks questions of our future. 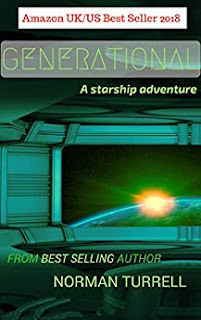 Set aboard a colony ship orbiting Earth and preparing for its voyage, the story dwells less on the nuts and bolts of the science of the ship, and more on the social science of the humans aboard it. An early, off-kilter encounter introduces lead character Leyton to a young woman whose role is, as she puts it, a breeder. Or more colourfully a "ghetto-ho" or "ship's bike". She seems unstable, and Leyton is whisked away from her - an early sign that not all is well aboard the ship. Leyton becomes the explorer guiding the reader as the slightly twisted society on board is revealed - freed from the structures of society down below, the ship has developed its own paths, becoming possibly a powder keg ready to blow... or the only hope of Earth's survival. It's an unusual story - and I think of that as a good thing. What shape will our future be, what route will our philosophies take us? These are the questions at the heart of Generational - a tale that asks the unexpected. Generational is available on Amazon here. This is an unusual vampire novel. Two divorcees (or near-divorcees) are wrestling with the problems of mid-life, jettisoning their unfulfilling husbands and struggling with work and the prospect of trying to have children - when an encounter leaves them forever changed. They become vampires. Beautiful, ravishing vampires. They proceed to try to make sense of their lives as they chart their unlife. Their vampire existence brings new passion, occasional accidental lesbianism, and a desire for growth. Eat, Prey, Love, you might say. I must say this book is not for me - I feel I'm very much not the target audience. 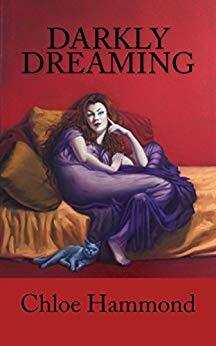 It's mildly racy and it's deeply wish fulfillment at work, but if that's what appeals to you, you might want to dip into the first pages preview. I'm giving it three stars - but not being the intended reader for this, I wouldn't take that as a criticism. I like my vampires darker and more dangerous, whereas with this, being undead has never been so life-affirming. Darkly Dreaming is available on Amazon here. The Lift started life as a spin-off from the Wicked Library podcast - which I've reviewed elsewhere on the blog - but now it has sprung into life as a collection of short stories. Volume one of such in fact, with the tantalising promise of further volumes. There is more than a theme at work here, with each story revolving around the character of Victoria, a little girl who plays a music box and offers people a ride in her lift to places which... well, which vary according to the passenger. In Brothers' Keeper, for example, two bickering brothers relive the spectres of their carnival past, while creator Daniel Foytik takes a swing at Trump in Buying America. Human Monsters, meanwhile, ventures into an apocalyptic landscape. The settings are abundant, Victoria is the constant. The highlight stories for me were Meg Hafdahl's The Barren, a hard-hitting contemplation on infertility and the choices we make; the splendid Cake, by Nelson W Pyles, with that conversation we can never have, with one we have lost - even harder, with one we lost long before their death to the bitter split of a family; and The Final One, by Charles Rakiecz, a time-twisting tale of cause and effect in the crucial moments of personal history. Much love has also been poured into the anthology in terms of its presentation - artwork of the music box, poetry and sketches, and even the sheet music for the theme tunes of Victoria, and the sound of the music box itself. For that extra love, the book earns an extra star in my ratings - bringing it to a hearty five out of five. 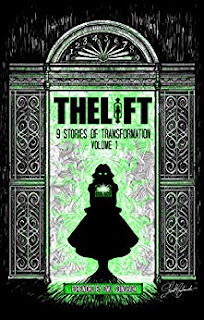 The Lift is available on Amazon here.